R. (97) Lord, I love your commands. How I love your law, O LORD! R. Lord, I love your commands. when your decrees are my meditation. because I observe your precepts. for you have instructed me. King Herod knew that Saint John was a righteous man, and that he was speaking truth. But the truth put King Herod into a funny position. If he listened to Saint John, he would have to completely change his life. He would have to admit that he was wrong, and give up the women that he had taken as a wife from his own brother. He was stuck, and he was very attached to the life that he had, and because of this he was forced to kill a man who he knew to be holy and righteous. But Saint John stands in great contrast to King Herod as he waited patiently in prison, and died a martyr’s death for the truth. Everything that Saint John did pointed to God; he was completely weak before his creator, from his leaping and sanctification in the womb at the Visitation to his humble death in prison. He knew that he was a mere man, an instrument of his creator. He was not afraid to live a radical life for the sake of the conversion of others. He knew who he was called to be and was not afraid to live it. 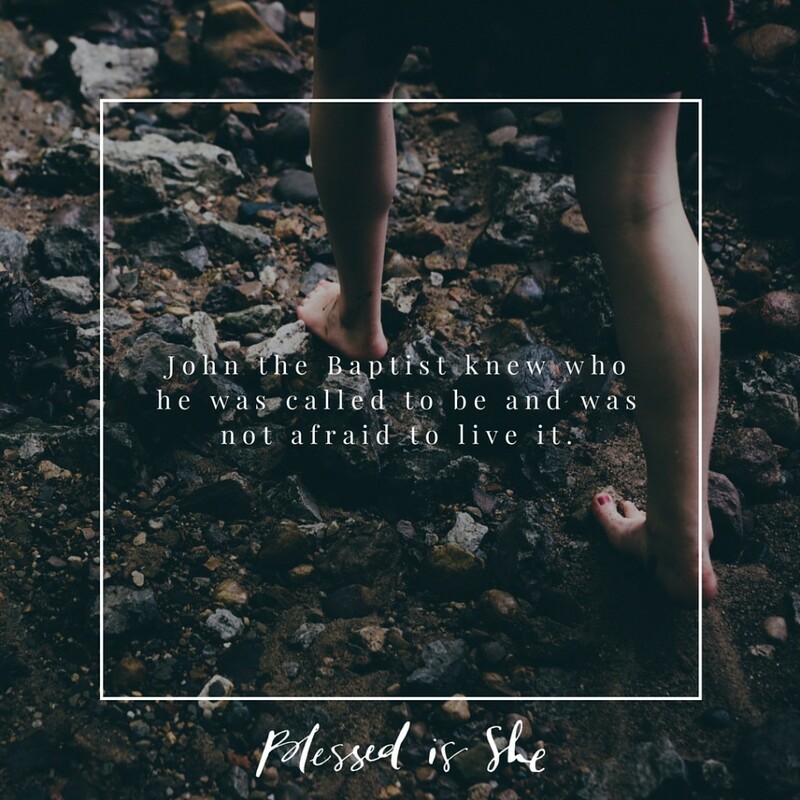 John the Baptist knew who he was called to be and was not afraid to live it. Where do we stand in relation to our Creator? Are we living the life we are meant to live, or are our worldly attachments or the situations in our life make it hard for us to make the change to be like Saint John? What do you choose everyday: God or the comfortable sins to which you are accustomed? Are you sitting perplexed by the truth or ready to decrease your desires in life so that the Christ in you may increase?